I created this card using ALL Market Street Stamps. The background stamp is Here Comes the Sun and the swimsuit and sentiment is from the Chillaxin set. 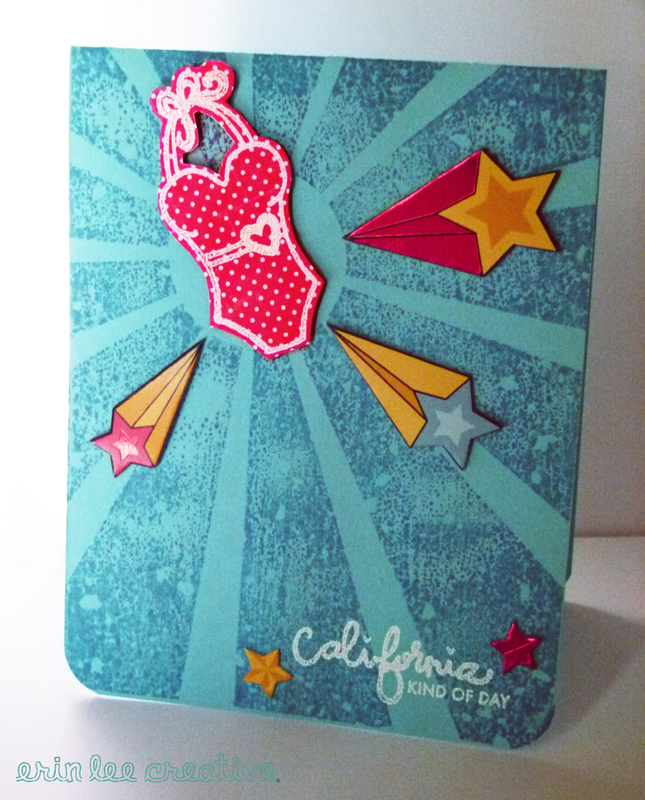 I created this card ALL with Angelica in mind – her favorite colors (red and teal – mine TOO! ), her stamps and she LOVES California 😉 It also reminds me of Wonder Woman – which she TOTALLY is. I hope you have a WONDERFULLY happy and totally amazing birthday, Angelica! Love ya tons! Next in the hop line-up….Miss Brenda!